Sheet mask are my all time easy at-home pampering choice. There are many sheet masks out there that I love and would repurchase anytime. If I had the time I would review them all, but well its not possible, so I decide that I would do (mini) reviews of 2,3 or 4 sheet masks in one post. Taiwanese sheet masks have been popular for some time now and are gaining popularity. Actually, the very first brand that started the sheet mask 'craze' is from Taiwan; the famous My Beauty Diary. I have been into Taiwanese sheet masks for some time now, one thing that fascinates me about them is the so often colorful funny characterized design of the packaging. 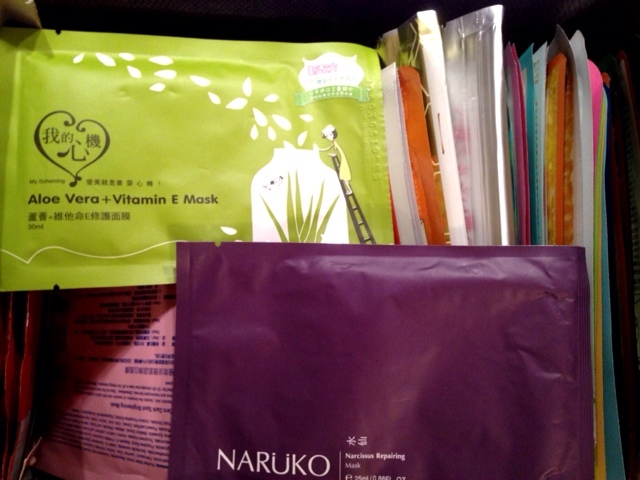 Today, I will review one mask from My Scheming the Aloe Vera + Vitamin E mask and Naruko Narcissus mask. My scheming is a popular Taiwanese brand under the same manufacture as MBD. The masks are less known than the MBD, I have heard that the prices tend to be slightly lower because of that. However, I'm not sure if its true , the prices seem more or less in the same price range. 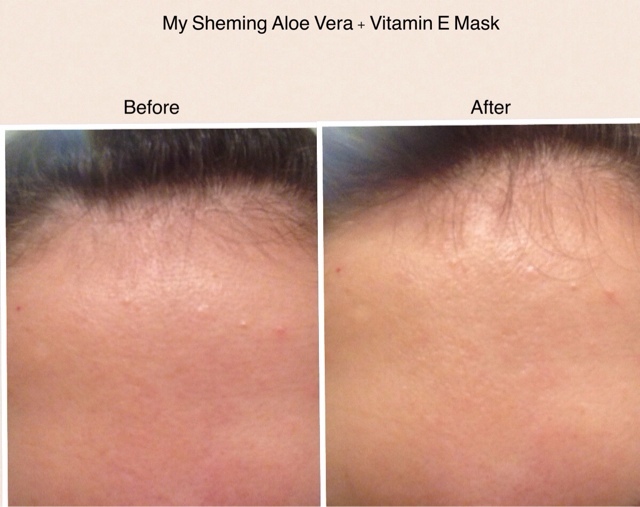 I have had some wonderful experiences with My Scheming masks before and the Aloe Vera mask didn't disappoint me. The My Scheming Aloe Vera Vitamin E Facial Mask is made with natural Aloe Vera extract, containing amino acids, proteins and vitamins. Vitamin E, as an essential anti oxidant will brightening effect. The mask is supposed to moisturize and nourish your skin. Running the formula through Cosdna shows no major red flags. Aloe Barbadensis Flower extract, the main ingredient here is known for its soothing, healing, anti-inflammatory, antioxidant, and anti bacterial properties. The ingredient is up on the list after Sodium Hyaluronate (retains and adds moisture) and Cucumber fruit extract (soothing, anti-inflammatory and suppresses melanin formation). Further, we have some plant extracts and Arbutin; whitening properties, melanin inhibiting. Only, were is the vitamin E extract here..? Like all My Scheming sheet mask the packaging is just adorable, I love these characters on the front (girl and the dog not sure who they are..). The masks are folded without an extra sheet, so its a little bit difficult to straighten them. There is a very subtle fragrance, quit fresh nothing like a strong perfume scent or alcohol. The mask is generously soaked in essence, there is also some left over for the neck. I can wear the mask for about 35-45 minutes before the sheet is dry and almost falls of my face. While wearing the mask I didn't experience any burning or stinging sensation, which is great news for sensitive skin types. After removing the mask facial redness was almost gone, skin feels smooth and soft. The brightening and moisturizing effect is 'average', not bad but if its your main concern you should look for another sheet mask. I was impressed by its soothing abilities, pimples will shrink in size or disappear competently. I find myself reaching for this product when my skin is rough and acne prone (hello hormones), the mask is really anti-inflammatory. I tried to capture the before and after on camera. I don't believe that it's possible to photograph major effects that a sheet mask can have on your skin, but still some changes are visible. Skin tone is more even and redness reduced. There is also a brightening effect. Overall, I really like this sheet mask for reducing redness and breakouts. I have used it more than once, and will keep repurchasing. You can purchase the sheet masks in a pack of 10pc on amazon here* for 14.95$/ yesstyle for 12.90$/ eBay for 16.14$ / pack of 5pc for 9.49$ on eBay. Not long ago I discovered a Taiwanese brand called Naruko. I think its a known brand in the Asian beauty community, but for some reason I missed out on it, time to catch up. This was my first Naruko sheet mask, I couldn't wait to cover my face with it. That's the beauty of sheetmasking I am always so excited to try out new sheet masks. 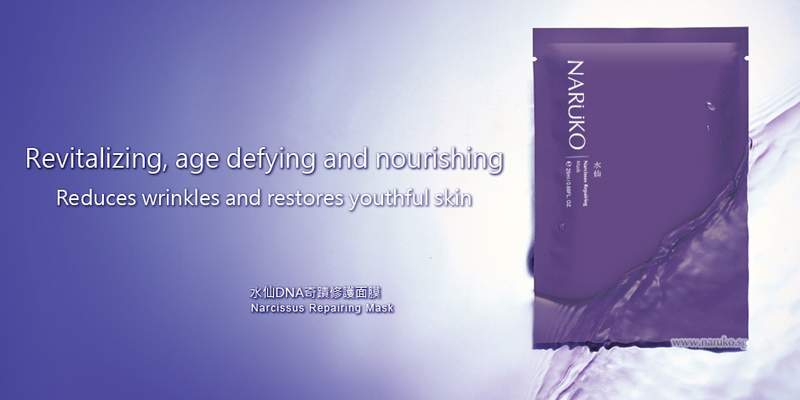 The Naruko Narcissus Repairing mask is described as specially designed for premature aging skin. I'm not a believer in that 'anti aging products = are only for old ladies'. After years of sun-damage and neglected skin dryness, I need some products to improve elasticity and treat fine lines. 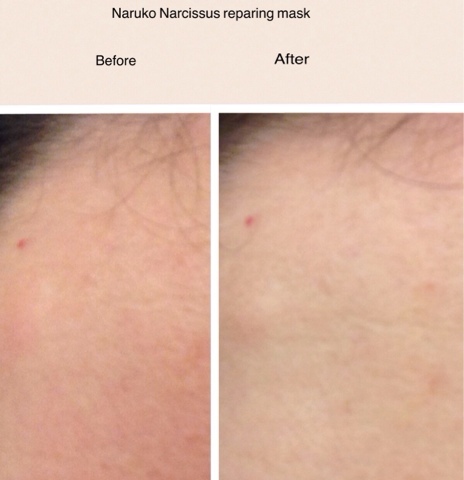 Naruko describes the mask as protective and hydrating, restoring damaged skin, and radiating a healthy shine. The mask promises to repair, sooth and restore skin elasticity, prevent oxidation and reduce skin dullness. Ingredient list: Purified Water (Aqua), Butylene Glyco, Glycerin, Sodium PCA, PEG-55, Xanthan Gum, Phenoxyethanol, Ethylhexylglycerin, Chlorphenesin, Hydroxyetfiylcellulose, Sodium Acetate, Isopropyl Alcohol, Cellulose, Kalanchoe Spathulata Extract*, Glycyrrhtza Glabra (Licorice) Root Extract*, Scutellaria Alpina Flower/ Leaf/ Stem Extract*, Peucedanum Ostruthium Leaf Extract*, Ginkgo Biloba Leaf Extract*, Artemisia Umbelliformis Extract*, Leontopodium Alpinum Extract*, Epilobium Fleischeri Extract*, CalendulaOfficinalis Rower Extract*, Chamomilla Recutita (Matricaria) Flower Extract*, Camellia Sinensis Leaf Extract*, Lactobacillus/ Olea Europaea (Olive) Leaf Ferment Extract, Quatemium-15, Tetrasodium EDTA, Bis-PEG-18 Methyl Ether Dimethyl Silane, Polyquaternium-39, Disodium EDTA, Mentha Piperita (Peppermint) Extract, Eucheuma Cotonii Extract, Sodium Hyaluronate, Pseudoalteromonas Ferment Extract, Bifida Ferment Lysate, Lactobacillus Ferment, Snow Fungus (Tremella Fuciformis) Extract, Artemia Extract, Narcissus Tazetta Bulb Extract, Sorbitol, Dihydroxy Methylchromone, Essential Oils of Mandarin, Tangerine, Sweet Orange (Citrus Sinensis), Ylang Ylang (Cananga Odorata), Potassium DNA. The ingredients list is quit long (Cosdna shows no red flags). Most of the first ingredients up on the list are humectants. The interesting stuff starts when we see all the ingredients with an asterix. 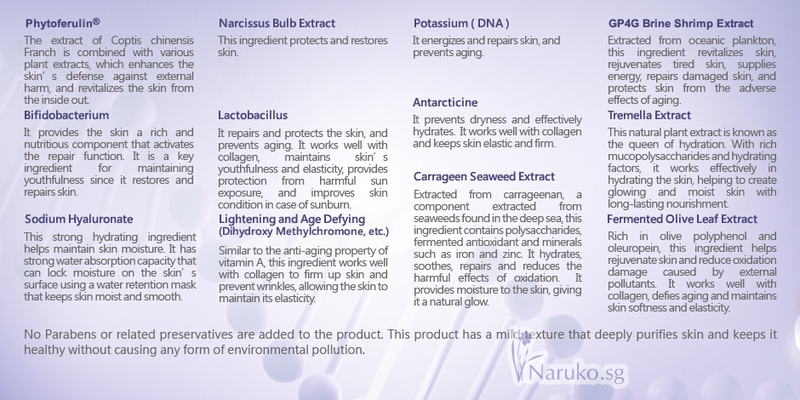 They are part of a Naruko patented complex that is formulated with 11 different plant extracts called the *Phytoferulin. I have to admit that the ingredient list made me pretty curious. I don't expect any real anti aging effects by using just one sheet mask, but some 'lifting and plumping' would be nice. The various plant extracts sound interesting, I looked into some of them and the potential effect they could have. Other ingredients are also mentioned on the promotional picture. I could not find much on kalanchoe spathulata extract, some sources say that it's used to treat various skin conditions in tradition Asian medicine. One study shows that in a in vivo experiments there is an anti-inflammatory effect and it accelerate recover (according to the director of Bio-Nest Biochemical Tech, I couldn't find any published study on that). Licorice plant extract is a more known ingredient, various studies have shown that it has anti-inflammatory properties, can be used to treat acne. Also it interrupt melanin production, so licorice can be effective to treat hyperpigmentation. Scutellaria Alpina Flower/ Leaf/ Stem couldn't find much on it one. Seems to have some anti-inflammatory, soothing, and moisturizing properties. ( used in Swiss alpaflor products, see below). Ginkgo leaf extract seem to be a potent antioxidant, having antibacterial and anti-fungal properties. Research has shown that ginkgo leaf extracts can potentially protect the skin from redness and inflammation during UV exposure. Ginkgo leaf also seems to be capable of increasing skin’s moisture content and reducing factors in skin that lead to inflammation. Artemisia Umbelliformis Extractanti is a potent antioxidant. May have anti-inflammatory anti-micro bacterial properties. Epilobium Fleischeri Extract, when I searched the internet I stumbled upon a Swiss brand DSM Alpaflor, one of their product ALPAFLOR® ALP®-SEBUM consists mainly of Epilobium Fleischeri Extract. The product is an anti-acne treatment that is supposed to reduce sebum production by inhibition of 5α-reductase, an enzym involved in oil secretion. They did a a lot of in vivo and vitro studies showing that the plantextract has sebum regulating effects, an anti inflammatory function, decreases sebum production and pore size. From a scientific point of view this makes me very curious and it sounds promising. Camellia Sinensis Leaf Extract (Green tea) is a popular product in the beauty industry with substantial scientific backing. It has anti-inflammatory properties and acts as an antioxidant. Some researches have shown that it can prevent collagen breakdown and reduce UV damage to skin. Many of the plant extracts, from the Phytoferulin patented cocktail appear to be (potential) antioxidants with skin beneficial properties. The mask is from the Narcissus DNA line, I was disappointed to see it so low on the ingredient list. The concentration of Narcissus Tazetta Bulb Extract must be very low, they probably only included it for marketing purpose. The packaging isn't typically Taiwan cute, it looks more serious and 'grown up'. Well, what should I say the color is pretty. The fragrance is okay it's smells like sweet flower, but too strong for my taste. 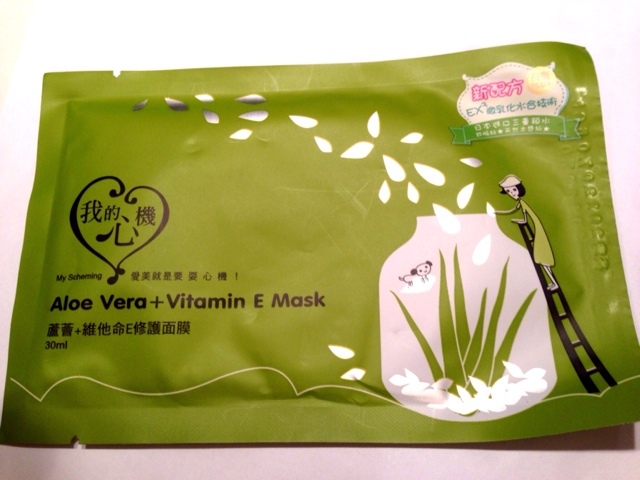 The essence is kind of sticky, its a very rich formula compared to other sheet masks. I wore the mask as usually, 40 minutes more or less. There was a slight tingeling sensation that persisted for a few minutes, I was afraid it was some kind of negative reaction, luckily there was no redness or other adverse effects. After taking it off my face was much brighter, and it did sooth my skin but didn't do much for red bumps/pimples like the my scheming mask. It's difficult for me to judge the anti aging claims, maybe I could have an opinion on it after using 20 of them. However, my skin did feel more plump, specially around the fine lines on my forehead. My skin was plump and hydrated the entire day, so much that I only used a serum and emulsion afterwards. I really liked the effect, the only issue I had with the mask is the stickiness. 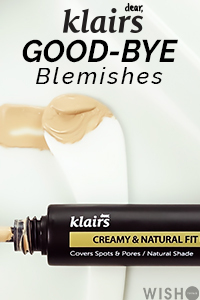 The ingredient list is quit long so I was a little bit worried that some of the unknown ingredients would cause a reaction, but my skin was completely breakouts and irritations. Skin tone is more even and less redness. Brightening! You can't see the hydration and glow in thee picture but it was definitely there. My forehead is for some reason blotchy (I suspect over exfoliation) thee mask didn't do much for the red bumps. Overall, I think this mask delivered high on hydration and pluming effect. Long term effects? I don't know. But I would say it's good for old and young. For oily skin types this could be to much, the essence is thicker than in your average sheet mask, but folks with dry and dehydrated skin types might like it. 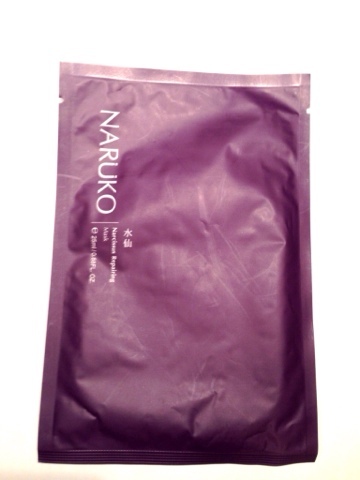 You can purchase the Naruko Narcissus repairing sheet masks in a pack of 10 on ebay here for 16.99$. I couldn't find any other online retailer. *This post contains affiliate links (see asterix*) , shopping with them will support the blog. I've heard so many wonderful things about the My Scheming masks, thanks so much for reviewing! It is pretty hard to get your hands on sheet masks here in Germany, so I tend to grab whatever I can get when there are some available. I admit, these are more often a miss than a hit though. Which one have you tried? You can buy them pretty cheap on ebay from ebay (free shipping and fast) ! Just purchased the Aloe Vera one, we'll see how it goes. I've only tried the Q10+Collagen My Scheming sheet mask and I LOVED IT. I supose the Naruko one'll be too much for me, since I've combo skin.